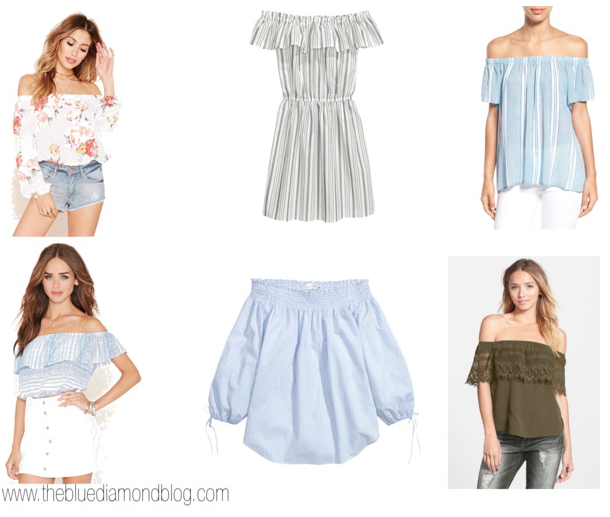 I am loving the off the shoulder trend this season! I felt like I should round up some options I am really liking! Many of them come in other colors and patterns as well! How was your weekend? I had to work Saturday unfortunately. After I got off I got to spend the rest of the weekend with Trey, just hanging out. I am looking forward to next weekend because I'll be off for 3 days! That rarely happens; so when it does I am way too happy about it!